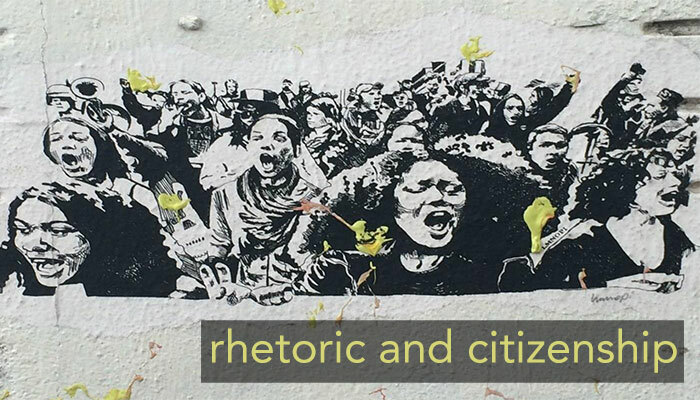 In Episode 29, we extend a conversation from the 2015 RSA Summer Institute Seminar on Rhetorics of Citizenship. Karrieann Soto and Kate Siegfried host the discussion with co-seminarians Karma Chavez and Cate Palczewski. The episode asks that we critically question rhetorics of citizenship in our scholarship and in daily life. For a full transcript, click here.